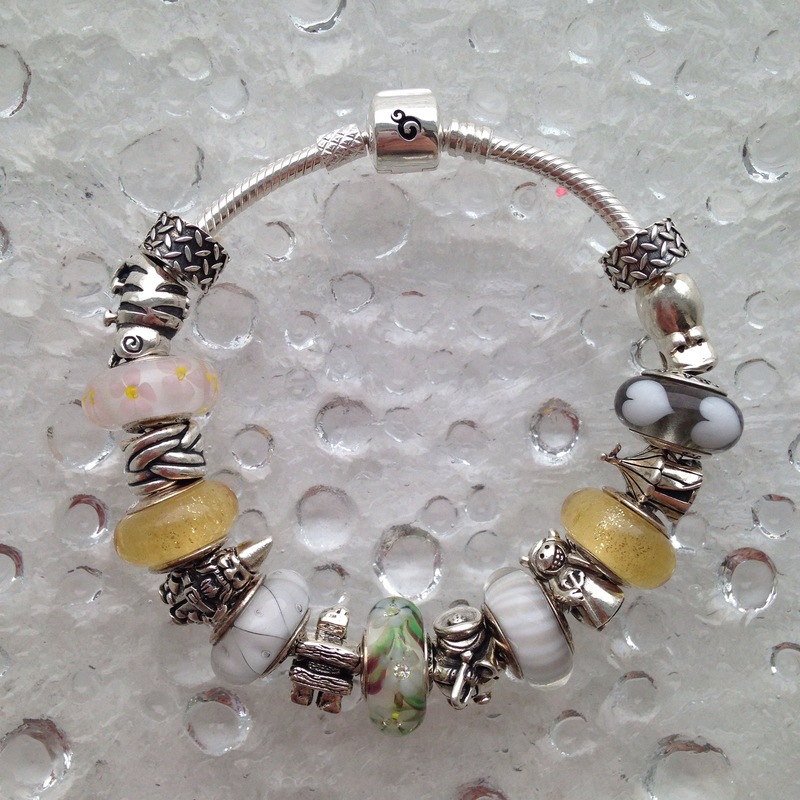 I took some Ohm Beads and put them with some Pandora Muranos for a quick, fun weekend bracelet. 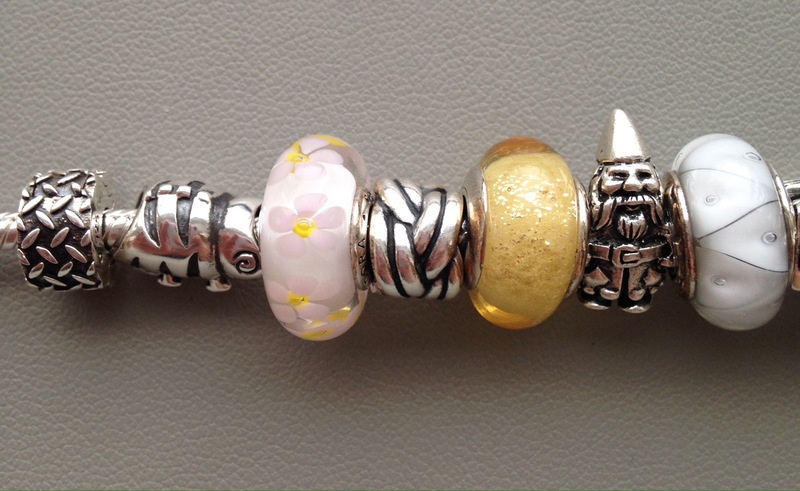 OhmGnome is always happy to get off the rack and onto a bracelet, ha ha! I should probably put him back into my keychain so he can get out more. Here is the jumble of beads. 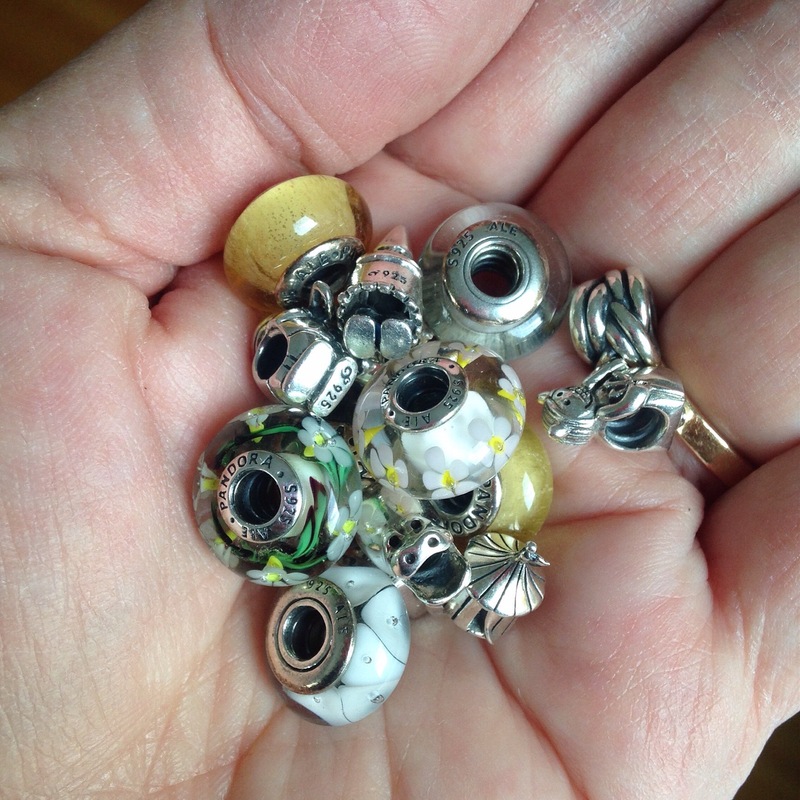 I’ve used almost all my little character beads-Cute Chameleon and OhmGnome are pictured here with a Pandora silver charm I had to use for balance. Then I have L’il Devil, Circus Tent and Growling Hippo. I liked using the Ohm Beads bracelet here, because I didn’t have to worry about how many beads would fit between the threads. It looked really pretty in the afternoon sun! Hi! 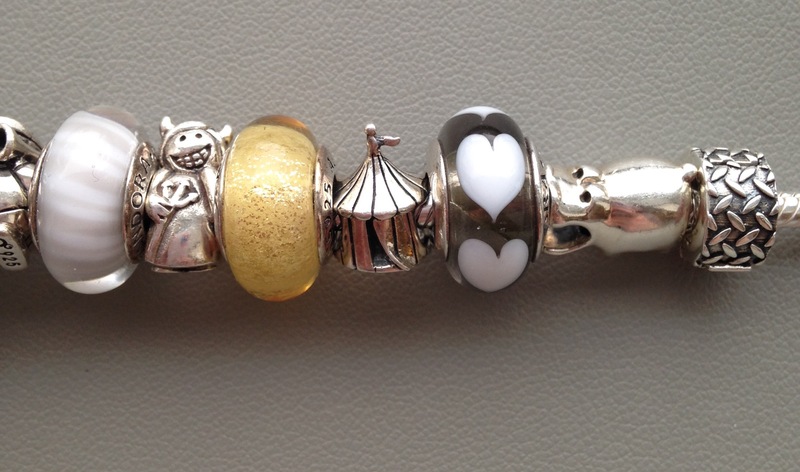 I have a hippo charm from Pandora that is very pretty, almost like yours. I wish I could get the chamaleon, gnome and tent, but Ohm is not available in México city, where I live, so I mostly get Pandora stuff. 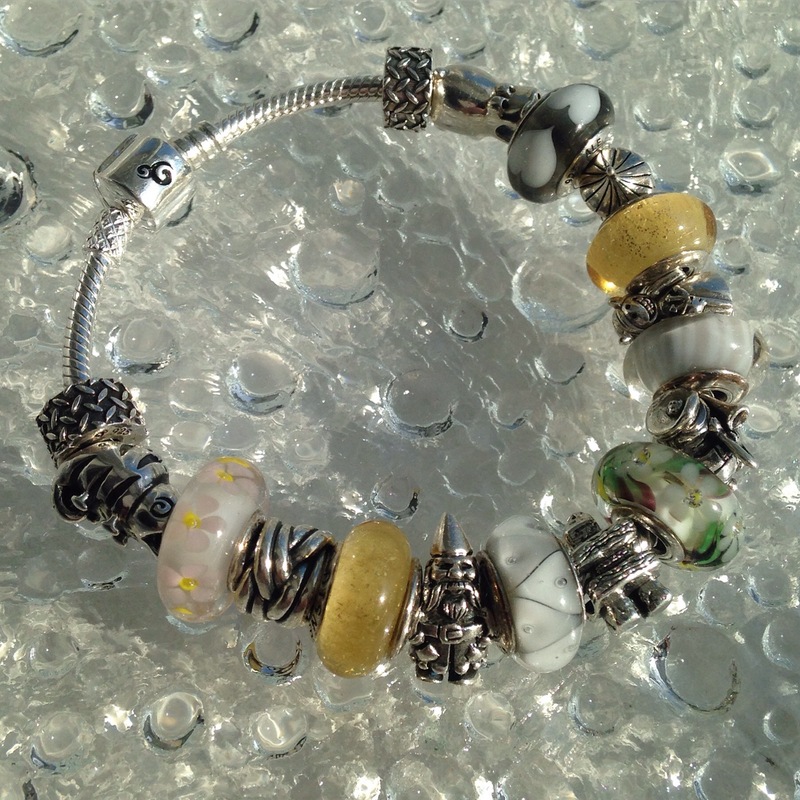 As always, I’m enjoying myself staring at your bracelets and beads, love them all! I’m gonna give Perlen a try, as I know they have old and retired beads that should be interesting. Thanks for the suggestion. My pleasure. Forgot to say to make sure you log in so you can see the prices without the VAT. That drops the price quite a bit!